COMEDIANS YOU SHOULD KNOW is a stand up comedy collective of some of the funniest up and coming stand up comedians in the country. 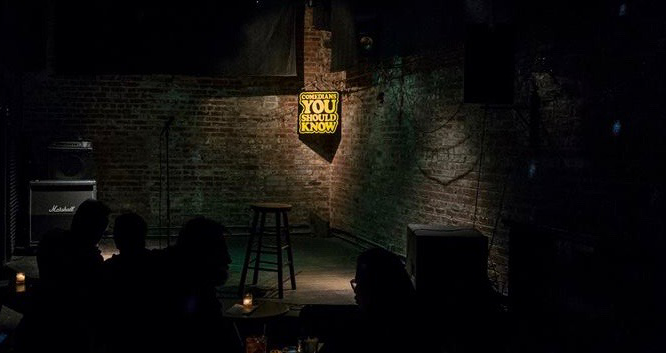 Starting in 2008 as a weekly stand up showcase in downtown Chicago, CYSK quickly gained praise from fans and comedians alike for its unwavering commitment to presenting only the very funniest local comedians and visiting guests. CYSK is proud to bring that same scrappy comedic vision and DIY attitude to their new weekly show at Gutter Bar in Brooklyn each and every Wednesday night. With a rotating roster of the funniest comics culled from all corners of the five boroughs and beyond, each show is a totally unique experience featuring only comedians you really ought to know.